Wow what a fun ride 2013 was !!!! Another great year ! Record bookings for the company , great new associates and friends and too much fun …….. Thanks to everybody !! So here again are those basic founding ideas of the company and our culture to set out a basis for the new year . Love you all and lets go rock 2014!!!! Family First – for most of us our family and loved ones are why we do this, they are why we get up in the morning and go do what we do, time with them is the most precious thing we have. Have FUN – Have fun every day doing what you do. If you enjoy what you are doing, it pretty rapidly ceases to be work, it’s pretty cool to do something every day that you are having fun at ! A lot of people go thru life without every having that opportunity. Be Nice to People – It’s a basic fact, People are nice to people who are nice to them, we are in the service business, people buy from people they like ! Be Passionate and Enthusiastic- Both are absolutely infectious, I put on a positive attitude on every day first thing in the morning like clothes, Every day is the best day of my life ! Be passionate and enthusiastic about what you do and success will certainly follow. Life is all about Relationships – Relationships Relationships Relationships ! At the end of the day nothing else matters but the connections we make with other people, people we work with , people we love, people we do business with. Change is our Friend – It’s another fact, everything changes. No matter what you think is the status quo, it is in fact, going to change and increasingly rapidly. The people that can assimilate and appreciate, and perhaps even lead change, are the ones who are successful, the ones who hate change end up working at the post office. Do what you say you are going to Do –Business ( and are competitors) are full of people that say “yea, I can handle that” and then drop the ball or don’t follow through. Nothing is worse in business than relying on somebody to get something done and then having it not happen, most especially in the service environment. Do what you say you are going to do every time !! Success will follow ! Thanks again to everybody and here’s to a fantastic 2014 !!!!! 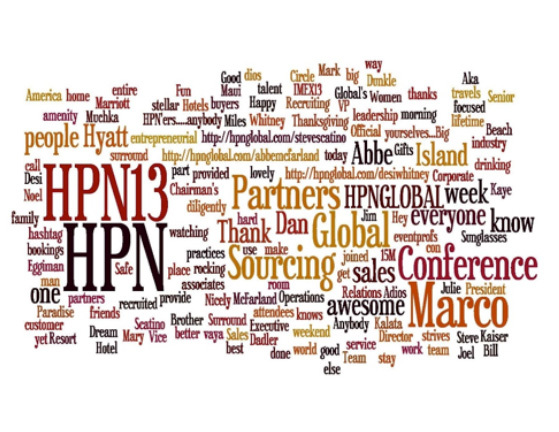 https://hpnglobal.com/wp-content/uploads/2014/01/hpn20131.jpg 432 559 hpnglobal https://hpnglobal.com/wp-content/uploads/2013/04/hpnglobal-logo-web.jpg hpnglobal2014-01-06 14:02:092017-10-31 16:02:44So its 2014 !!! !